Since May I have hit a record low in reading pace. It’s not as if I was not reading. Do blog posts count? No, I didn’t think so. But between writing, end of school, and Summer outings with friends, the books were getting dusty. 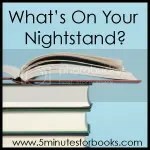 They sat and waited on the nightstand OR were toted and neglected. 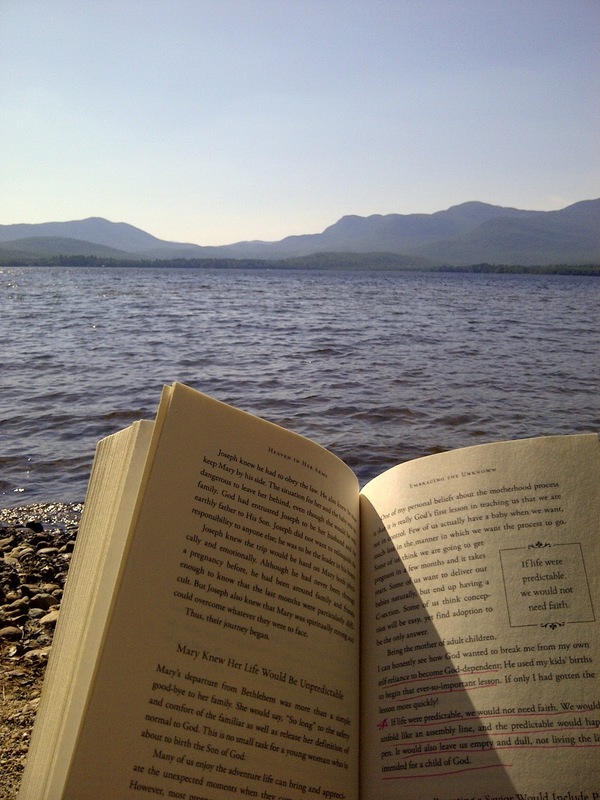 Reading bits and pieces with too many interruptions makes it hard to build up the momentum which leads to reading bliss! And I missed my Kindle, even though I prefer hardbound, paper, real books. Then vacation came and I found my reading pace once again. Slow but steady! Hold back your yawn, I am making a comeback! Still maintaining The Slowest Reader In The World status but crawling along and enjoying the scenery at my own snail pace once more. But here is the clincher. Read More Here. This excellent offering has more to offer than meets the eye. Concise and to the point with the focus and intent being delivering hope, encouragement, useful scripture and guidance to those women who are in a spiritually mismatched marriage. I was leery at first because I wondered if this would have practical application for those who are in marriages where they are not with an unsaved spouse but instead with someone who may be a Christian but off track in their spiritual life in another way: back-slidden or perhaps off in their personal walk in leading the family, discipleship, growth, zeal for the Lord etc. I found this to be useful as a help for those in marriage to a spouse who needs salvation but also for all women as we all need to keep our eyes fixed on Jesus and pray ceaselessly for our husbands. Practical, suitable and helpful for a variety of marriage circumstances. The author takes a journey with God through the verses of Psalm 119. Will be reviewing and interviewing Jeannie soon! 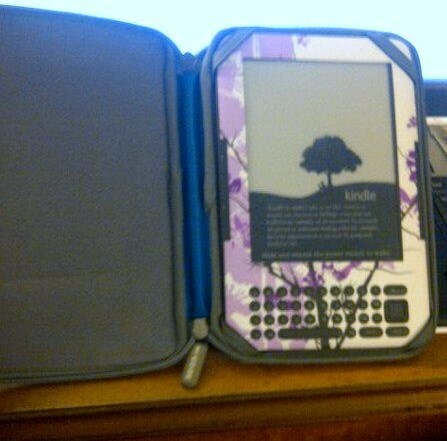 bestowed upon me her old Kindle! I can highly recommend the two books by Elisabeth Elliot.I've seen the Green series mentioned here and there but haven't really been drawn to it.Glad you're able to get back into reading! Any is better than none! There are times that lend themselves to more or less reading. I think we could be tied for slowest reader. I have a hard time sitting down to read without an interruption. Looks like you had some great titles. I really like Stormie. Great author! I know. Summer just comes in and sort of takes over. It did for me and I didn't mean for it to! I'm in the process of making my own comeback as well. Here's to books! Momentum is everything for me when reading! Summer can be tough or easy….depends on the week for me. I am so bummed! I checked out an interesting book to read at the library where I work (church), and was so looking forward to reading it tonight…and wouldn't you know I walked out and left it in my bag under my desk? How dumb is that? Your book list amazes me. I can only do one at a time…but I like to read it from cover to cover in a few days if possible so I can get on to another. Happy Reading! These books sound great. I am only able to read one or two at a time. Right now its a book on General Grant. Yay for your re-Kindling. I broke mine not too long ago (sometimes I wonder if maybe I'm not grown up enough for electronic devices) and I've been missing the text-to-speech feature I'd been using during my commute. Since mine was also uninsured, I finally decided to shell out the money–except that this time I'm making a heavy duty case and keeping that screen protected!I just looked up the new J.K. Rowling book up at my library–and it looks like they have it on order but don't own it yet. So I'm going to say I'm done with Rowling for now. But I sure did enjoy Harry Potter.